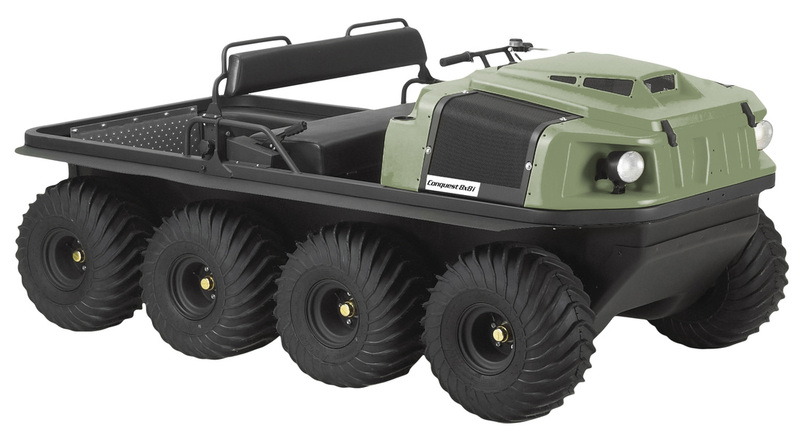 This ARGOCAT has it all – the powerful yet quiet liquid cooled, fuel injected engine, the efficient ADMIRAL steering transmission and the large 25” (635 mm) wheels give this machine extreme terrain capability while carrying its full payload. It is equally well suited for hard work as for hard play. Rubber tracks are available for better traction in soft terrain or snow. The 8x8 CONQUEST XT is the ultimate all-terrain machine. Designed for demanding commercial uses, the CONQUEST XT has large payload capacity, tubular steel frame, sealed axles and comfort for staff. With integrated frame mounting locations and universal mounting accessory, adding tools or equipment to the rear of the vehicle is convenient, simple and quick. ARGOCAT CONQUEST XT comes as standard with a two man ROPs. Available with and without tracks. 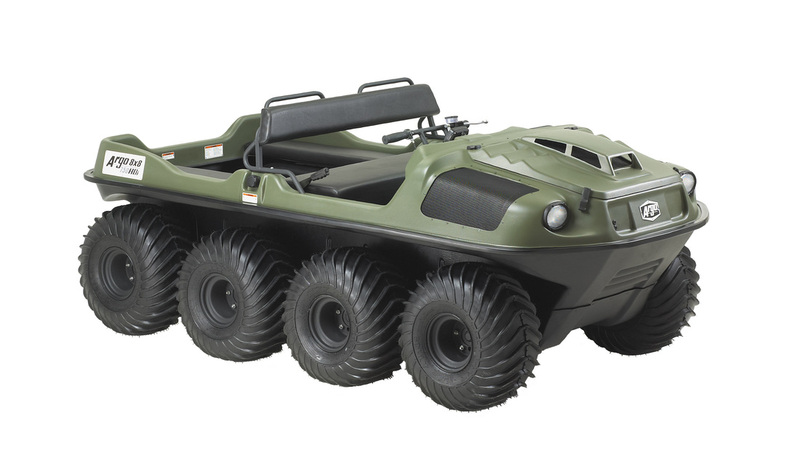 This vehicle provides great performance in difficult terrain and water crossing capabilities and is idea for fishing, hunting and family fun. Seats up to 4 persons. The ARGOCAT Frontier 6x6 is our best value extreme terrain vehicle. Rubber tracks are available for excellent performance in deep snow and soft terrain. ​Whatever the weather, and whatever the conditions be it mud, snow, sand or marsh or any other unfavourable terrain the ARGOCAT will get you through. Ideal for woodland areas and remote and steep upland grassland, flooded towns and villages, city infrastructures or coastal access. ARGOCAT is highly versatile allowing a number of different roles to be meet from one machine.